In Ross v. Andrews, 2017 BCSC 338, a plaintiff was ordered to pay double costs to ICBC after failing to win in his trial. He was injured in a car accident in Surrey in 2011. After a 15 day trial, a jury determined that the plaintiff had not received any injuries in the accident. 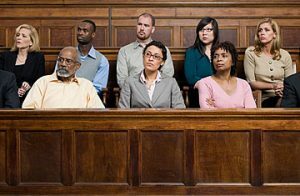 Prior testimony in two unrelated court matters significantly affected his credibility before the jury. Prior to trial, the plaintiff had testified in another court matter against a former customer with whom he had a physical altercation in 2013. In his testimony, he claimed the assault had caused him numbness in his right hand and had aggravated his neck and back symptoms. Since he had already been compensated in this court case, the jury was instructed not to award him any compensation for the numbness. Additionally, the plaintiff’s testimony at trial differed significantly from the assault trial, weakening his credibility. Additionally, in provincial court family matter, the plaintiff had testified he had not worked because he had no driver’s license, without mentioning any accident related injuries. However, this conflicted with his evidence at trial in which he testified that he couldn’t work because of his car accident injuries. Before trial, the defendant’s had offered to settle before trial for $75,000. After striking out at trial the ICBC defendants were entitled to their costs. The issue for the court was how the costs should be assessed. If an offer to settle under Supreme Court Civil Rule 9-1 is made to another party and not accepted, the court can order double costs against that party. The ICBC defendants sought double costs against the plaintiff for failing to accept their $75,000 offer. In making an award for double costs, the court must consider whether the offer to settle was “reasonable”, based on the evidence known at the time and whether it “ought to have been accepted”. The plaintiff argued that double costs would be a financial burden on him and that there was a significant financial imbalance because ICBC has significantly greater financial resources. The defendants argued that the offers were reasonable and that the main reason for the plaintiff’s failure at trial, namely his lack of credibility, was well known before the trial. Mr. Justice Ball held that the $75,000 offer to settle should have been accepted by the plaintiff because he should have been alive to the risk that his testimony would be seen as unreliable and would be negatively treated by the jury. He awarded ICBC costs of the action and double costs of the action from 7 days after the $75,000 was received until the point of trial.